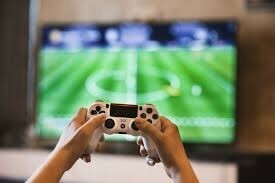 Video games have become one of the most popular pastimes over the last couple of decades. Not only has the video gaming experience become increasingly more realistic, but several developers have hired professional screen-writers to compose original stories for their videogames, adding another layer of enjoyment for modern gamers. Alongside recreational videogames, companies such as “Lumosity” have crafted a niche for themselves by creating intellectually stimulating online games that claim to help with “memory, math, vocabulary, and more”. Due to the widespread interest in gaming, and the success of services like Lumosity, there has been extensive research into whether video games really can have such positive effects on gamers. Without a doubt the most successful games have been multiplayer titles such as “Call of Duty”, “Fortnite”, and “Counter Strike”. While players interact online, these pro-social games require real-time engagement between players and fast reaction times. They have some of the greatest proven benefits for their audiences, who acquire and refine teamwork, strategy, and decision-making skills through their use of these games. Competitive and solitary games, such as puzzle or fighting games, also have observable benefits. Competitive gaming has been shown to help special needs groups interact with others, as they feel comfortable in an environment they understand and which they feel they can control, the videogame world. In fact, one of the best competitive players of Super Smash Bros. is autistic and claims that the game has helped him to interact with people in ways that he previously found intimidating and confusing. Gaming is often viewed as an anti-social habit. However, the way in which people are able to interact with each other is efficient and effective. Online interaction offers an additional medium for contact between people and face-to-face interactions are not cheapened by this in my opinion. Hand-eye coordination, problem solving skills, and improved reaction time are just a few of the benefits that videogaming brings to the younger generation. While video games have not resonated as strongly with older generations, these benefits have become known and are sought by people of all age groups. This is the niche that services like “Lumosity” fill. These companies offer education-focussed games that, as mentioned above, claim to improve essential skills such as memory, vocabulary, reaction time, and more. Both my experience with these services and the studies support this view with observable improvement over time. For anyone who doesn’t fancy spending their free time playing videogames, but wants to receive the benefits, there’s no better alternative than these educational gaming services. Although the benefits of hours and hours of playing cooperative strategy games can’t really be replicated, these focussed games give relatively better results given the minimal amount of time and money needed to invest in them. The real-world benefits of videogames have been recognised and implemented. Knox Grammar School in Sydney has added the extremely popular game “Minecraft” into their curriculum as it allows students to built and design structures. Students are assessed on their creativity and implementation of effective design strategies in the virtual world. Here at SKL we stay sharp by playing Lumosity games at least 3 times per week and it seems to help our focus with good collective progression in the various games. Becoming comfortable with virtual spaces is essential for someone who wishes to thrive in this brave new world. The proven benefits of videogames, along with the increasing discrediting of studies that attempt to brand games as “violent” and “addictive”, has made gaming not only a popular pastime but a worthwhile one too. The tech-savviness of the new generation is owed, in part, to the enthusiasm with which they have embraced the latest and greatest videogames.